A THREE day judicial review has rejected a claim from Heathrow Airport which had been set to cost Transport for London £42 million a year in access charges for running Crossrail services to Heathrow. The Heathrow spur is a key part of the new Elizabeth line and is one of the two western termini, along with Reading. A claim for access charges had been lodged by Heathrow Airport Limited, which had argued that its predecessor BAA had invested some £1 billion in building the Heathrow link from the Great Western Main Line in the 1990s, to allow the premium fare Heathrow Express service to be launched. An additional stopping service – Heathrow Connect – followed in 2005, charging significantly lower fares. At first passengers were not permitted to use Connect to travel through from Paddington to the Airport for fear of damaging Express revenues, but this restriction did not last long. Connect is now set to be replaced by Elizabeth line services from next year, while the future of Heathrow Express is not yet known. 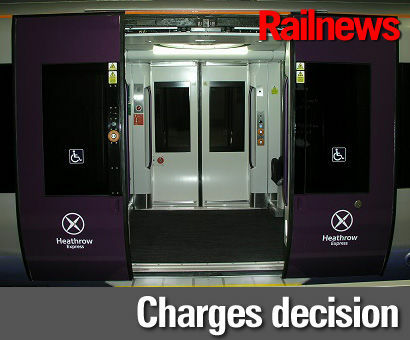 The Office of Rail and Road had already ruled that HAL could not charge the proposed fees, but the airport had mounted a High Court challenge in response. Heathrow Airport Holdings said it was ‘disappointed’ about today’s ruling. The company explained: “Heathrow is committed to increasing sustainable public transport to the airport – that’s why we invested in Crossrail, built the Heathrow Express rail service, support Piccadilly line services to the airport, and subsidise Europe’s largest free bus network.